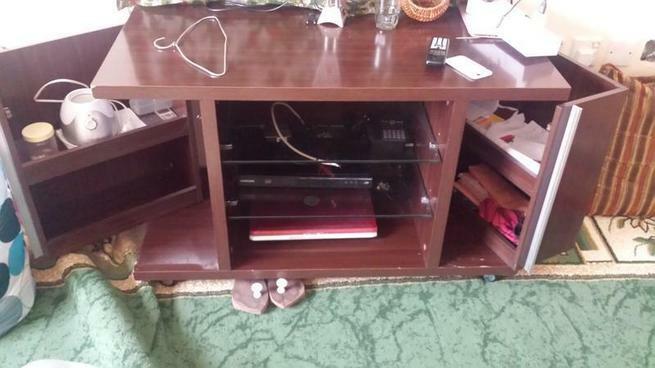 Tv stand! 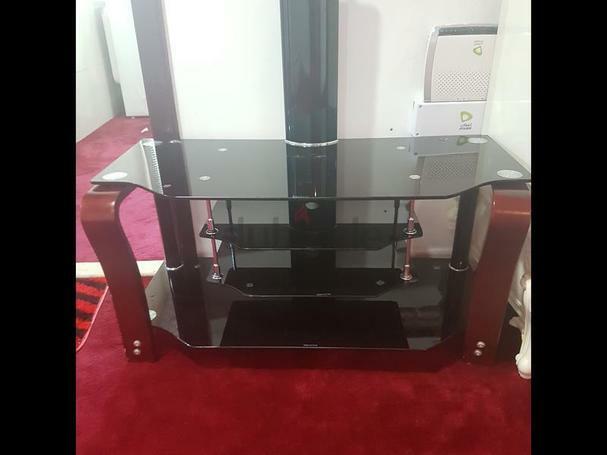 (glass) it is used but as good as new. 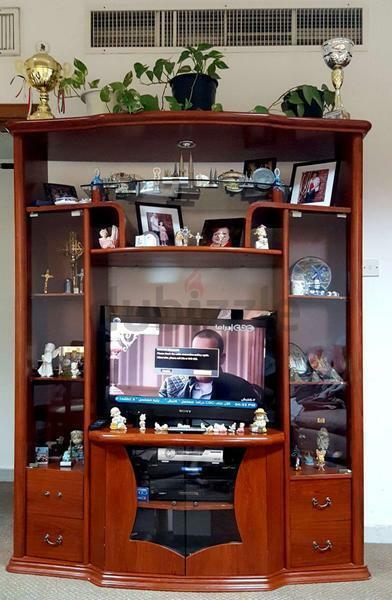 stopped using because we have fitted our tv on the wall. 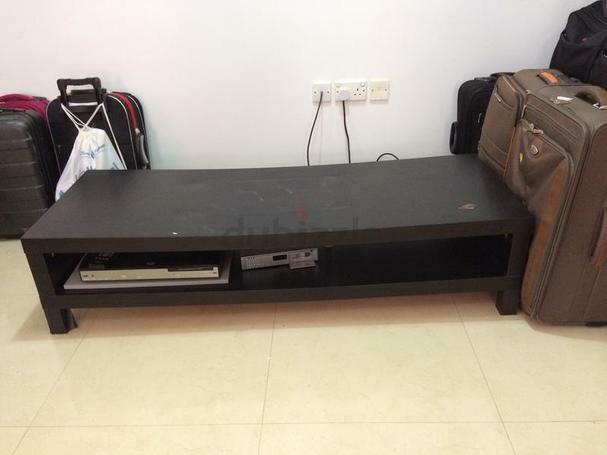 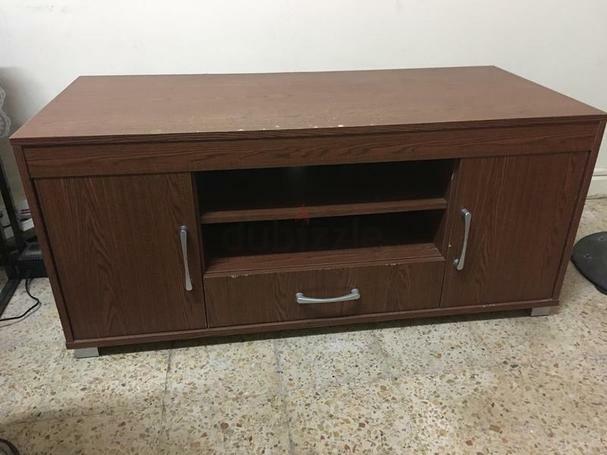 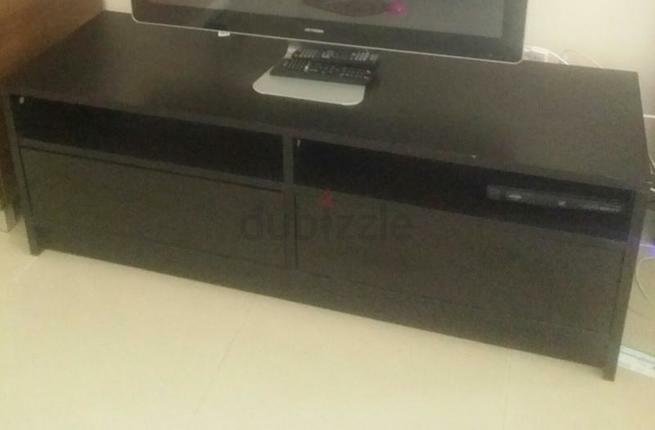 Fairly used sofa; 32inches Ikon TV with warranty; TV Stand about 2months old; beautiful reading table with chair; furniture shoe box.